In this article, we are going to review the best virtual horse breeding games. No matter if you are a girl or a boy, you will like these online 3d horse games. First of all, we would like to inform you, that we are not going to review flash games, which is kinda an old school thing and not popular anymore. Star stable is a fun game for all horse lovers. This game is very popular because of the great graphics and interesting gameplay that attracts thousands of new players every month. The gameplay is based in Jorvic island, where all characters are unique with different abilities. You start the game by customizing your character and your new horse. In this game, if you want to develop, you have to complete different quests, attend the races against other players, groom your beautiful horse. 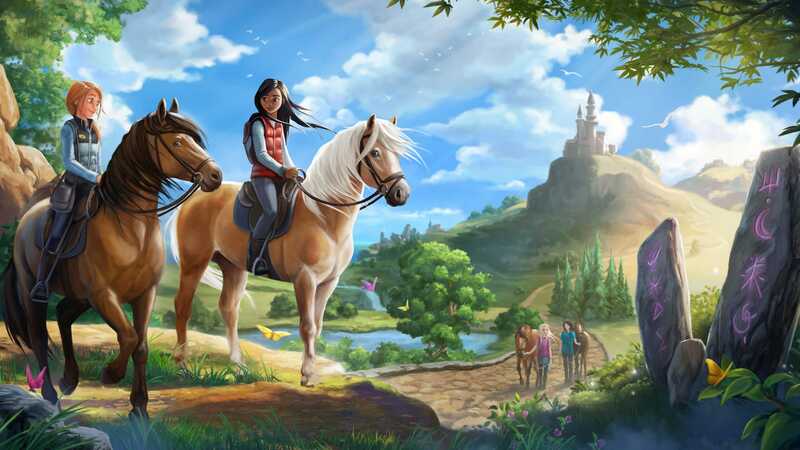 Star Stable game is available for PC and Mac users and the installation process is very simple and easy. This game currently has more than 2 million active players. We tried this game and we really liked it. You don’t need to download anything, just open your browser and start playing. A browser-based game has a little bit lower graphics (comparing to Star Stable), but has a little bit more horse customization possibilities. Howrse breeding game is also very popular around the globe. Ubisoft, the developers of this game, announced that 57 million players already played Howrse. The main point of this game is that you have to breed and raise your unique horse. You will have to work, earn money and breed the horse. You will be able to choose from hundreds of horse breeds. When you grow up your animal, you can participate in various competitions. While other games focus on breeding and caring a horse, this game specializes in training a horse and winning competitions. First of all, you will have to complete the training phase, which is kinda long, but it takes an essential part of this game because it guides you on how to play. But before starting your first training we would recommend you to read the manual, which is very helpful. The graphics are really impressive and the gameplay is addictive. There is a learning curve in this game and that makes My Horse and Me 2 very interesting. Although this video game is not the most realistic, it’s worth to try. There are many online virtual horse games, but only a few of them are worth to play. In this review, we covered three best games currently in the market – Star Stable, Howrse and My Horse and Me 2. Every game is different and unique. Wild horse farm games are very popular among kids and teenagers. In the future, we will cover new games related to these beautiful animals. Horse games for boys and girls – this is what we wanted to review in this article. If you have any suggestions, let us know!